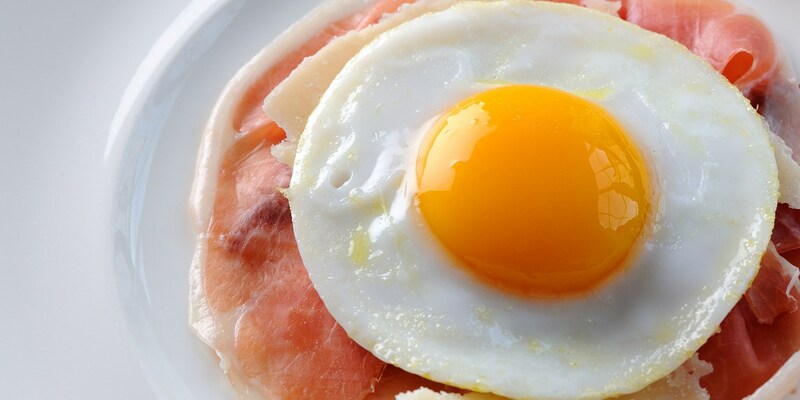 A perfectly fried egg is not too greasy. Its white isn't too firm or rubbery and the yolk spills out when you cut into it. Use the freshest eggs possible and remove them from the fridge before cooking to allow them to come up to room temperature. The same instructions apply to duck eggs, goose eggs or gull’s eggs but the times will vary due to the size of the eggs. Fried eggs aren’t just for breakfast – blanched asparagus dipped into a runny yolk makes a beautiful starter, as in Josh Eggleton’s recipe, and who could forget the classic gammon with fried egg on top? Adam Gray pairs a fried duck egg with a smoked bacon hash, while Shaun Rankin finishes his Jersey Royals potato salad with a fried duck egg and Parmesan shavings.